How technology is changing wealth management. Tiburon CEO Summit XXII Session Moderator, Atindra Barua President and CEO of TrustFort speaks about the future of Financial Planning and the client of the future. Open source portfolio accounting for the hands-off masses who will demand instant information regarding their accounts? 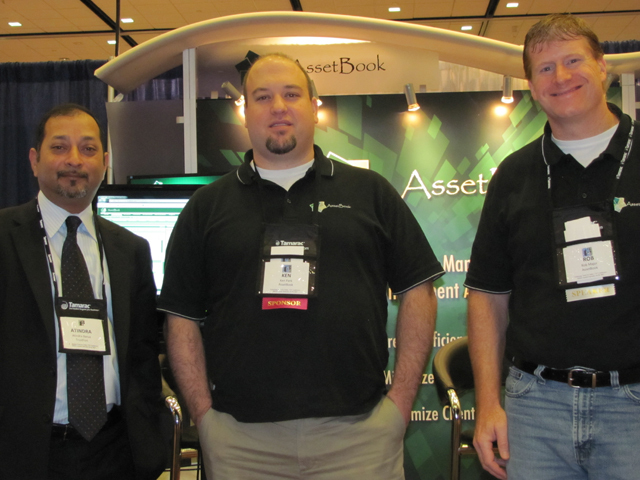 TrustFort targets broker-dealers and large RIAs with its scalable back office solutions. TrustFort is seeking to expand its recognition among broker-dealers and investment advisers. This conversation with TrustFort's President & CEO Atindra Barua, helps us to learn more about the solutions TrustFort provides to financial service companies. Also discussed is how TrustFort can add back office scalability to better serve today's client in a mobile and social world. How TrustFort helps make financial service companies more efficient. TrustFort has offered scalable technology solutions to financial service companies since 2004. This conversation with TrustFort President & CEO Atindra Barua, enables us to learn more about the company's partnership with Assetbook and the solutions provided to broker-dealers. How small broker-dealers can fight margin compression and avoid closing their doors. TrustFort is a technology solution provider to broker-dealers and investment advisers. In this conversation, TrustFort President & CEO Atindra Barua, addresses the increasing costs of operations in the industry and how the selection of the right technology partner can reduce pressure from margin compression. Atindra Barua of TrustFort, on mobile device trends for financial advisors. Financial advisors know that if they want to connect with the next generation of clients, they need to do it through mobile devices. Atindra Barua, President and CEO of TrustFort, gives me a preview of what his company plans to offer so advisors can serve clients in the Mobile Age.